Navratri means worship of nine incarnations of Goddess Durga in nine nights. 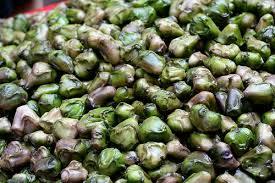 People are often recommended to take strictly vegetarian food without onion and garlic. Generally, people keep fast these days in North, West and Central India. 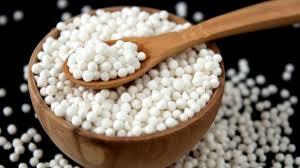 Saboodana is a white coloured round shaped food product that is also known as tapioca. It’s also famous by the name sago. It is soaked in the water before making it out in sweet as well as salty form. Overnight soaking is better for better results. It keeps the body cool and energetic. Singhada is a fruit that is dried out to have the powder form to consume it as flour for making out pooris or dosas. It’s the best way to keep body cool and replenish one’s lost minerals and nutrients while keeping fast especially in spring season. 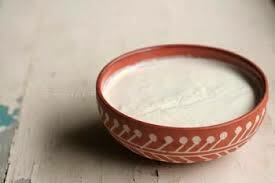 Curd being rich in calcium is also a great source of prebiotics bacterias that are good for intestine. Have it guilt free!! Nothing can beat when it comes the talk of strong immunity and fullness than sweet seasonal juicy fruits. At the onset of spring season, have lots of fresh fruits such as water melon, musk melon, mausambi, lemon, banana and other seasonal fruits. Fresh fruits keeps body and mind cool and fulfilled. My mother used to have lots of sweets made up of peanuts, but I disagree with the idea of groundnuts during fasting for their heat nature and gastric nature. Groundnuts are a good source of protein and other minerals but can be allergic to some people. Be careful while having it empty stomach. Seasonal changes happens during these days. Low immunity because of seasonal change. Onion, garlic and animal food saps the negative energy thus provides only negative vibrations to the body accompanied by body heat.